And so the Blackburn Era continues. Good analysis Aaron. I do want to say I’m tired of hearing about Blackburn as a bad signing. Granted he’s performed poorly and below expectations but teams look for cost certaintity and signing him at the time provided just that. It too easy to call it a bad signing when in reality it just hasn’t worked out how the Twins and Blackburn would’ve liked. Also, I don’t think he makes enough money in baseball ‘starting pitching’ world to truly register as bad money. The Red Sox spend more on video staff and their bullpen catchers than Blackburn makes in a year. Just my opinion. Feel free to rip away..
Ripping away. The Twins had cost certainty jn Blaxkburn via arbitration. There was no way that he would have become overly expensive through arbitration. The contract that they gave him gad no benefit for the Twins, because there was no chance that he was ever going to cost much more than the yearly salary they stupidly guaranteed him with that contract. They took on all of the risk without any upside. There is just no defending the Blackburn deal. It made no sense when he was pitching well, and now it’s proved to be an atrocious decision. I really hope all of these guys are on the table. If you can get good value for anybody on this team, you trade them. I’m actually excited to see what Terry Ryan can do at the deadline. Even if he makes small moves, I’ll be happy to see practical, forward-thinking trades. Why are people defending the Blackburn signing? Yes, Aaron has repeatedly reminded his readers how unnecessary and poor his contract “extension” was, though it’s not as if he didn’t say this the minute after they made the deal. Also, just because his contract isn’t worth a LOT of money doesn’t make it any less bad. For a fan base that constantly throws stones at Mauer’s $23m/year deal you should scrutinize all of their deals if the team decides to reduce payroll to lock in profits. I’m not saying that the Pohlads shouldn’t make money on the team, but rather that the front office has to avoid making deals like Blackburn’s to optimize their resources ($/roster mgmt) like the Rays have done. This is good analysis Aaron and I don’t disagree with any of it, but it obviously takes 2 parties to make a trade so I think it’d be interesting to flip this around and look at what/who the Twins want back in any potential trades. Terry Ryan has already said that no one on the team is untouchable (except Mauer’s not going anywhere)so would it make sense to give up more value e.g. Willingham or Span to get more back in return? I know Liriano frustrates the hell out of all of us, but I really don’t see them getting much value for him right now – same for Pavano and Blackburn. You’ve got to give up value to get value – unless you’re dealing with Bill Smith. While I agree with most of what was said I think it’s misguided to blame Bill Smith for Matt Capps. He didn’t give up the compensation pick for resigning him this year. He didn’t decide to give him millions more than what he was worth this year months before other closers signed with other clubs. The fact of the matter is that the Twins operate in a Good Old Boys bubble and love to keep what they know rather than take a chance on an unknown. While Bill Smith was part of the problem he was far from the only problem. Hahahahaha! Trade Blackburn! Hahahahahaha! Like somebody will actually give us something for him. That’s a hoot. My two cents: give Capps a few innings after he returns to show that he’s still in good form, and then do what you can to get a prospect or two for him. Do the same with Pavano if he has any health whatsoever. Keep Burton. I’d strongly prefer keeping Liriano at this point. The Twins should see if they can sign him to a three-year deal — because they need pitching next year, and signing him means they’ll have to convince one fewer free agent to come here over the winter. If he doesn’t sign before the trade deadline, they should trade him for some prospects. Call me crazy, but I’m in favor of keeping Liriano at this point purely because I have no faith in the Twins ability to land any solid pitching this offseason. If we give away Liriano right now, we’ll have an unproven starter in Diamond and nobody else in the rotation. There isn’t a halfway decent starting pitcher on this roster so why would we give away our only pitcher? Yes, Liriano is frustrating as hell to watch and he’ll certainly be inconsistent for years to come, but I think we are still getting him for somewhat of a bargain. sign liriano and baker. if liriano can be had for 3 years/25 million, go for it. baker won’t be ready to go full-tilt until 2014, so a 2-year deal to cover down time in 2013 and his expected return to the rotation in 2014 would be optimal. baker for 2 years/9 million? 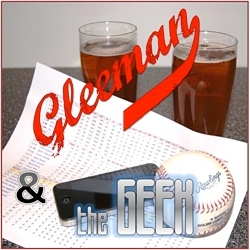 a top four of diamond, liriano, hendriks, and gibson in 2013? Scott, I like your plan – with 1 addition. This team desperately also needs to add a top of rotation veteran. I would use the $$$ saved from Pavano’s contract next year to help pay for a new Liriano contract – And a top starter like Zach Greinke. This team needs to stop living in fantasy land and bite the bullet on a big contract to a top starter. There should be the salary available to do it. 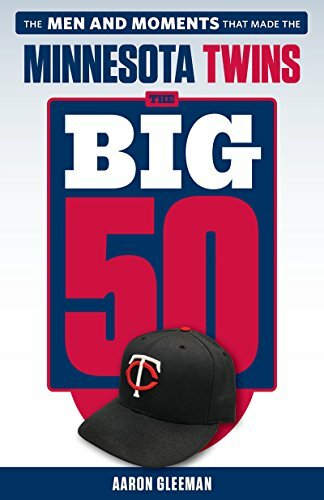 I think if this doesn’t happen soon – they’re going to be back at an attendance baseline of 20,000 – 25,000 per game and then have even less revenue to work with and as soon as the Vikes finish their new stadium, the Twins could once again become the forgotten stepchild of sports teams in this town. 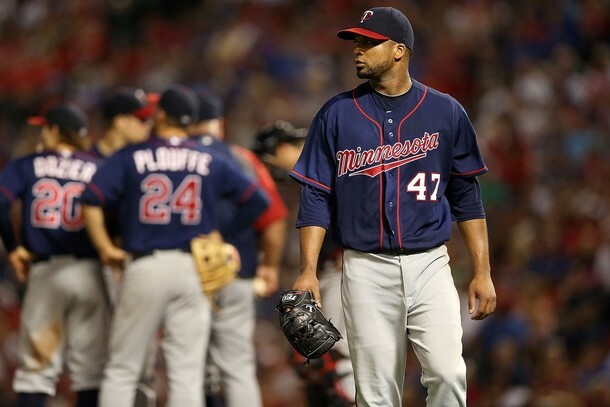 If the Twins don;t trade Liriano and he pitches credibly in the 2d half, my fear is that they’ll go with the “known quantity” and extend the $12M qualifying offer to him, and that he’ll take it. (E.Jackson’s a fair comp, and he had to settle for a 1-year, $11M deal last offseason.) A one-year commitment isn’t awful in itself, but it’s enough coin that I strongly suspect it would kill any chance of the team going after a legitimately good starter. As a big “midmarket” team with solid revenues, they should be going after a top FA pitcher, or trading for a good but getting more expensive guy (James Shields?). Settling for second tier lands you in the second division. Where’s the “how much” part?